Is there anything better than a greenhouse? It’s immensely satisfying to know your seedlings are happily building themselves up for spring, while outside there’s still snow on the ground. Or that your tomatoes are protected from any frosts during spring. The joys of growing plants normally restricted to equatorial temperatures are also many. Greenhouse kits are an intermediate option for gardeners – not as involved as building one from scratch, but not as expensive as buying ready-built. If you’re interested in buying a greenhouse kit, then you’re in the right place. Use this simple checklist to ensure you make the right pick. If you’re growing in a compact space, like a balcony or patio, you might think that a greenhouse is out of the question. The truth is that there are lots of DIY mini-greenhouses. They’re inexpensive and very easy to put up. I have a mini greenhouse and it’s one of my prized garden possessions. This guide is aimed at gardeners with larger spaces, but if you are on the lookout for a smaller option, I’ve included a link below in the “More resources” section. Answer these four questions and you’ll be well on your way to picking the perfect greenhouse kit. Tools at the ready. Do you need permission to build it? Depending on where you are, there might be a number of restrictions on where and how you can build a greenhouse. Planning permission may be required, especially if you’re building the greenhouse as an extension of your house. Similarly, you can often avoid regulations altogether if you opt for a size below a certain threshold. How big is your site? This will be the main concern for picking the size of your greenhouse when you come to order a kit. The size of your ground space (width and length) is the one thing you can’t afford to get wrong. What materials do you prefer? You have the option of either glass or polythene for your covering. Both materials will have a rating for thermal insulation (often called an “R” rating) so that’s another thing to think about. Do you want a rustic wooden look for the frame? Is steel OK or would you prefer completely rust-proof aluminum? What style do you want? Do you want a traditional “square” design or are you happy with a more inexpensive hooped structure (as in half a cylinder)? What about a dome structure? What about a more “industrial” solution? My grandfather built his own greenhouse (or polytunnel) on his farm. It was a traditional hooped structure, made with metal poles and polythene. If you’re interested in a larger structure, there are lots of inexpensive options available, so please don’t be put off by price. 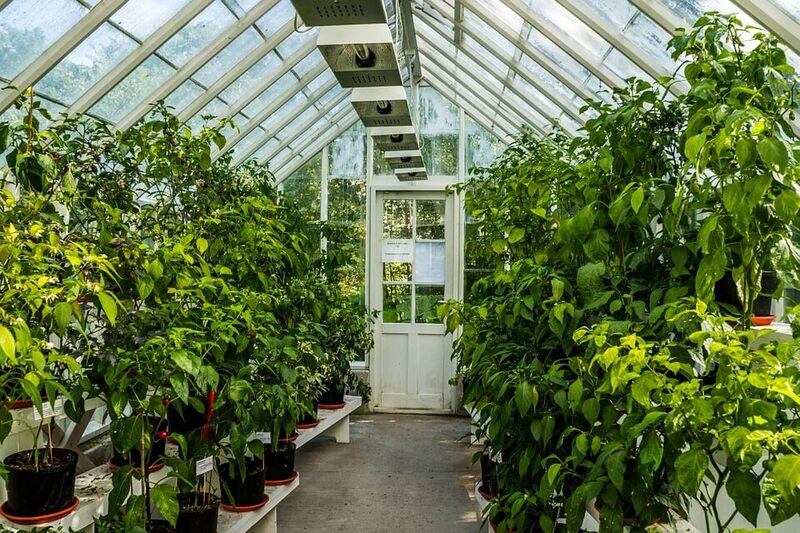 A great answer to the question, “What are the different types of greenhouses?” on Quora. Green House Stores have some wonderful mini greenhouses for sale if you’re looking for one for your container space. If you’re looking for a larger option, check out this selection of greenhouse kits from Emerald King Greenhouse. If you’re growing in a small space, check out Wayfair, who provide a wonderful selection of “mini greenhouses” for small-space growers.